Days Inn Vancouver Downtown Blog: WIN A FREE STAY WITH OUR HALLOWEEN CONTEST ON INSTAGRAM! WIN A FREE STAY WITH OUR HALLOWEEN CONTEST ON INSTAGRAM! To celebrate Halloween this year, we decided to throw a contest on our Instagram in partnership with the Forbidden Tours! You will have a chance to win our HALLOWEEN PACKAGE which includes a free 1-night stay package, parking, breakfast for two and two free tickets to one of the amazing walking tours in Gastown by The Forbidden Vancouver. 3.Tag your friend with who you want to spend the Halloween at the Days Inn in the comment section under the Halloween post on Instagram. 4.The contest ends on October 5, 2018. We will announce the winner on Oct 5, 2018. Please read the terms and conditions of the contest here. Our partner The Forbidden Vancouver gave away two tickets for one of their most popular tours, so your Halloween can get a little spookier! Forbidden Vancouver will bring the city’s dark history alive and tell you the tales of crime you wouldn’t hear anywhere else. The team of twelve passionate guides will deliver Vancouver’s unique history with a dose of theatre and creativity. As a part of our Halloween package, the contest winner will be able to choose between The Forbidden tour and Lost Souls of Gastown Vancouver tour. Read on to find out more! This two-hour walking tour will take you to Victory Square, Chinatown, and Gastown - Vancouver’s most remarkable districts. In 1917, Prohibition hit Vancouver. You will learn how illegal booze and opium changed Vancouver into a sin city as you walk along the city’s most historic streets. Illegal drinking dens, bribery and mob bosses turned Chinatown into a center of prostitution, gambling, and opium. Forbidden Tour will show you the alleyways and back streets where no other tour buses will ever take you. 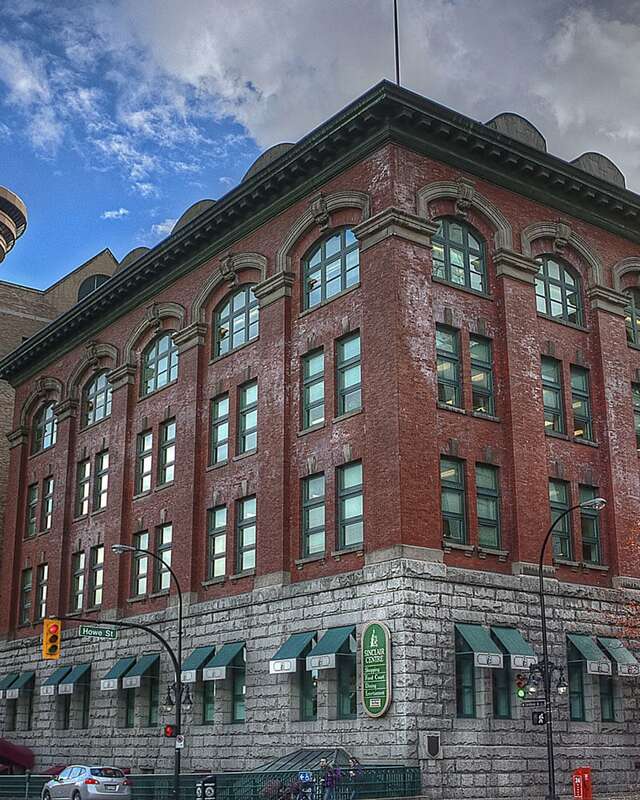 As a part of the tour, you will also see the heritage buildings like the Sun Tower and the Dominion Building. Vancouver was just the Granville Townsite - a town that went through a devastating fire, smallpox outbreaks, and mysterious murders. In 1898, John Bray stumbled out onto the streets of Gastown where he got robbed and shot in the head. Relive Bray’s story along with stories of other people and events that shaped early Vancouver. The Lost Souls of Gastown is designed for the adult audience and it’s not just a walking ghost tour. It’s an interactive theatre experience that will keep you on your toes in the darkened alleys of Gastown’s past. It sounds amazing, doesn't it? Join our contest and spend a spooky Halloween in Vancouver! Remember to read the terms and conditions below. See you at the Days Inn Downtown! 1. The contest winner with the most likes for the submitted picture will be announced on October 05, 2018. 2. The contest prize is a 1-night stay for two guests at the Days Inn Downtown Hotel in Vancouver between the dates October 11 – October 31, 2018 (based on availability) and two tickets to a Forbidden Tour or Lost Souls of Gastown (based on availability). Reservation must be made ahead of time by October 15, 2018. 3. Incidental charges are not included in the Halloween package. 4. The prize must be accepted as awarded and cannot be exchange for cash or other substitutes. The prize is not transferable and has no cash surrender value. 5. Days Inn Downtown hotel shall not be responsible in any way for the use of or bear any liability whatsoever in any way attributable to the Prize awarded in this Giveaway. 6. By accepting the Prize, all entrants eligible to win the Prize consent to the use of their name, city of residence, photograph, and/or image for any advertising or public relations purposes in all media used by Days Inn Downtown and its advertising and promotional agencies, without payment or compensation, throughout the world in perpetuity. 7. The decisions of Days Inn Downtown hotel is final. By accepting the prize, entrants confirm their understanding and acceptance of these terms, conditions and rules, and releasing Days Inn Downtown and any other person or entity associated in any way with the Giveaway from any and all liability arising in connection with the Giveaway, Including, without limitation, liability arising from the acceptance of the Prize as awarded and confirming compliance with these rules.